Prairie View brings back Fred E. Washington as Vice President and DIrector of Athletics. Fred E. Washington has been named Prairie View A&M Vice President and Director of Athletics, President Ruth Simmons announced today. Washington is in his twenty seventh year of service to Prairie View A&M University and the State of Texas. He is also retired as a Major in the United States Army Reserve and served twenty-three years in that regard. 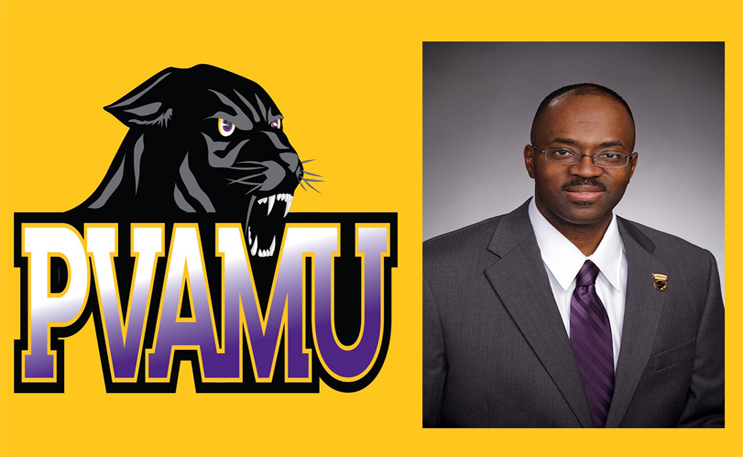 Washington is in his second stint directing PVAMU Athletics. Washington served in two positions as Vice President for Administration as well as Auxiliary Services and Athletic Director from 2008 to 2013. In this current appointment, Washington will only oversee Panther Athletics. Washington’s previous tenure as Athletic Director was at the beginning of a storied period in the annals of Panther Athletics. His five-year tenure was highlighted by PVAMU football returning to its tradition of winning as the program won the 2009 SWAC Championship, the first title in football since 1964. That championship season was the highlight of a current run in which PVAMU football is second in wins in the SWAC since 2007. Women’s basketball was the dominant program during that time, winning SWAC regular season and tournament crowns in 2008 and 2009, and, in 2011, began a streak of four consecutive SWAC Tournament Championships, earning NCAA Tournament appearances after each tourney win. Women’s Bowling won back-to-back SWAC championships in 2012 and 2013, and PVAMU baseball won the SWAC championship in 2012. The men’s tennis program won a pair of SWAC titles during that time as well (2010, 2013). In 2009-10, the athletic program earned the Barbara Jacket/Sadie Magee Award as the top overall women’s sports program in the Southwestern Athletic Conference for only the second time in school history. PVAMU Athletics then went on to win back-to-back Commissioner’s Cup crowns as the top overall sports program in the SWAC in 2011-12 and 2012-13. All totaled, the Panthers won 14 SWAC regular season or tournament titles during Washington’s tenure as Athletic Director. As a commissioned officer, Washington served in several leadership positions throughout his twenty-three year career. He retired with honors after his seventh (7) year as the senior logistic trainer for the 75th Division and five (5) years and a logistics planner for the 373 Combat Service Support Battalion of Beaumont Texas. Prior to this assignments include (2) years as a supply and services officer four (4) years as a unit commander, (2) years as an executive officer (XO) responsible for all unit administrative operations and three (3) years as a platoon leader. Mr. Washington graduated from the Army Logistics Management College (ALMAC) and has three certifications in logistics management. Washington is a three-time graduate of Prairie View A&M, receiving his Bachelor of Business Administration in Accounting (1992), Master of Business Administration in Management (1996), and Master of Arts in Community Development (2016). Washington and his wife Alvina have four children, Andrew, Elysia, Matthew and Maegan. They reside in the northwest Houston.